Your confidence in your Porsche is unwavering — you know it’s the finest vehicle on the road. Why not treat it to the finest Porsche servicing available? Our Porsche service center in Greenwich only employs factory-trained, Porsche-certified service technicians. Each member of our service team has trained at a dedicated Porsche technical center. They have studied and completed detailed, demanding coursework in order to achieve the level of finesse required to work on vehicles distinguished enough to bear the Porsche name. In order to participate in this official training, technicians must already be employed by Porsche dealerships to ensure that you, the customer, are receiving the best, most precise maintenance possible. Book your appointment online today for regular Porsche maintenance. Or, if you would prefer to chat on the phone, give us a call at (203) 869-8900 and we’ll be happy to allocate time for more extensive repairs when necessary. 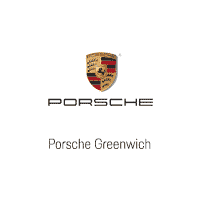 Put your trust in the specialized Porsche service center at Porsche Greenwich.